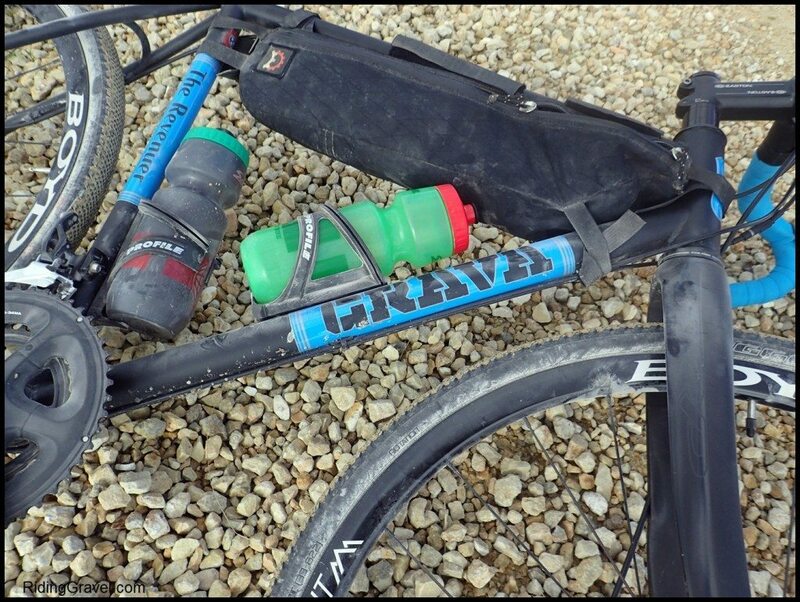 Grava Bikes Revenuer: Checkpoint- With more time and dusty miles under the tires of the Grava Bikes Revenuer, it is time to file another update on this steel steed. You can catch up on what has been said so far by clicking the link for the previous entry HERE. There you will find the tech intro and initial impressions I had on this great looking, US made frame. 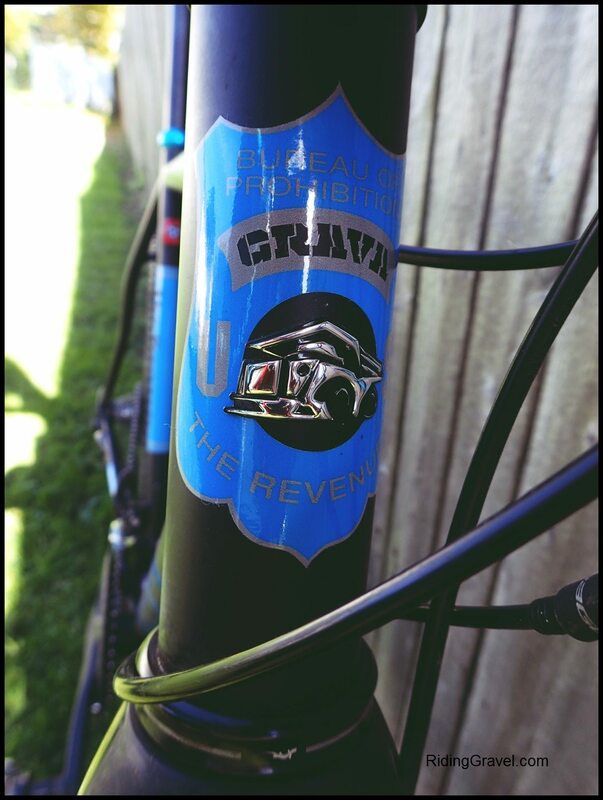 Since gravel comes in dump trucks, Grava Bikes used the image of one on their head tube. The Revenuer is definitely a racy little machine, as I said in the previous post. I decided to make one slight change to its set up, and that was to simply invert the stem to its “rise” position. This afforded me a little easier access to the drop bar’s extensions and hooks which were a little difficult to get to before. That small change gave the Revenuer a bit more comfortable feel, and it made riding the bike less of a chore for this admittedly old man. Young racin’ bucks probably will like that lowered handlebar! With that, the next rides were done with no real physical concerns on my part. The bike continued to impress me with its smooth ride. The handling on gravel is still really quite good, and I like the Revenuer’s geometry for its stability yet the bike has a decent feel under acceleration and doesn’t make you think you are driving a truck. Although, there is a truck on the head tube, please don’t take that as an indication of the bike’s personality! It definitely does not have a hint of sluggishness. That said, it doesn’t quite “squirt” forward, say like a stiff carbon bike can, under accelerations. But it does have what many would say is a “quick, lively” feel when you accelerate. I think it would satisfy most road cyclists in that area. The TRP fork, with its asymmetrical fork legs, continues to impress, and I feel it is a great match up with the steel Revenuer frame. The fork is very laterally stiff, but it is not a “jack hammer” over the rougher, loose gravel. It has a good ability to absorb vibrations, but not feel noodly when you hit the brakes hard. The frame’s stiffness seems to be in concert with the fork, and together they compliment each other quite well. Speaking of brakes, by the way, they are also from TRP, and they work quite well for mechanical brakes. However; since I have been using some Shimano road hydraulic brakes recently, I feel like the TRP Spyre mechanical brakes are somewhat wooden in feel and lack modulation in comparison. If you’ve been spoiled by hydraulic brakes, these will seem like a step backward, but they are a step forward from almost any other mechanical brake out there. Now that I have ridden this frame and fork a while I have bonded with it well enough that I can say that I could make this an “all-arounder” bike for many purposes. I like how it plays in the dirt well enough that I feel as though it would make a pretty good cyclo crosser. 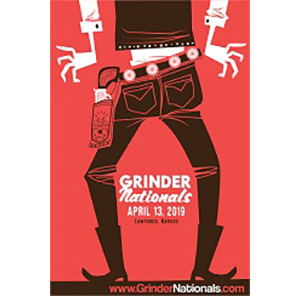 I already know it is a racy, comfortable gravel bike, and on pavement it can sprint and lay down the power well enough I think you could easily hang with the local road group ride, given you have the motor for such rides. This brings me to a crossroads of sorts when you look at this bike and what you get for the money. A Revenuer frame set is $1635.00 and for that you get a disc brake ready, quality steel tubed, through axle rear drop out, carbon through axle fork, fully modernized frame that is made in the USA. Purely based upon that price, the Revenuer may be hard to understand, because there are complete bikes sitting on bike shop floors right now at a very competitive price to this. However, almost all of them won’t have this nice a frame, the racy geometry, and still retain a smooth, comfortable ride. It also doesn’t have to be said that those bicycles won’t have frames originating in the United States either. It all just depends on how you define “value” and what you place importance upon. I don’t feel that a bike with this fast, racy feel in a steel tube set is very common, unless you go custom, and then you are definitely in this pricing ball park, or even looking at a higher price in some cases. 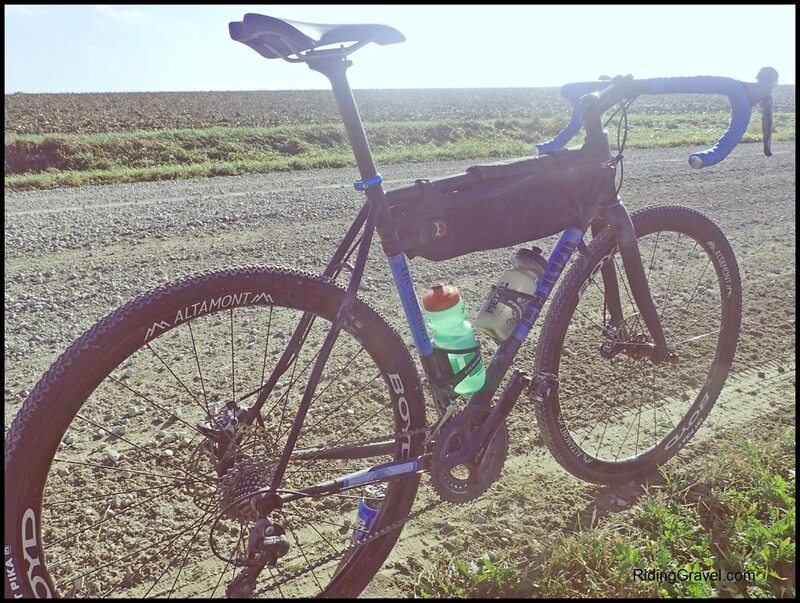 Many gravel cyclists love steel bikes, and while there are a few out there with the ability to do gravel well, I know this Revenuer is much more “race bike” than “all purpose-touring/commuter”, which almost all the stock gravel/all-road bikes are. So, if that trips yer trigger, and a lively, quick, US made steel bike makes sense to you, I think then the Revenuer is worth looking at. So Far…… The Revenuer is a race oriented, fast handling bike that challenges you to put the pedal to the metal. Yet it has good behavior out on the gravel roads. 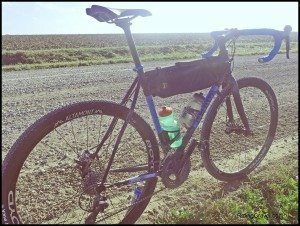 It isn’t going to be your “Swiss Army knife” in terms of being a chameleon capable of morphing from gravel rig, touring rig, commuter etc, but it does do the racy bit as well as you could want in a steel gravel bike. It could be your cyclo cross rig, and fast, spirited road group rides are definitely within this bicycle’s scope. US made steel frame, uniqueness, and comfortable, capable geometry make the Revenuer worth a hard look. Stay tuned for the “At The Finish” post coming in a couple weeks or so….. Note: Grava Bikes sent over their Revenuer model for test/review to RidingGravel.com at no charge. We are not being bribed nor paid for this review and we will strive to give our honest thoughts and opinions throughout.